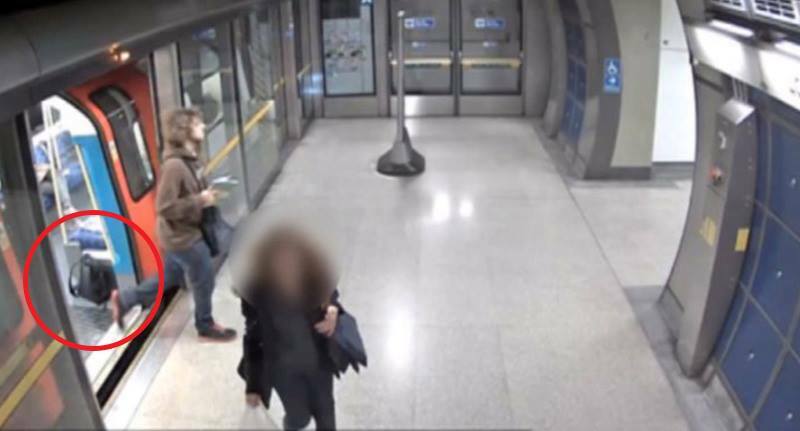 Newly released CCTV footage shows the moment a gun-obsessed teenager left a rucksack filled with explosives on a busy London Underground train. 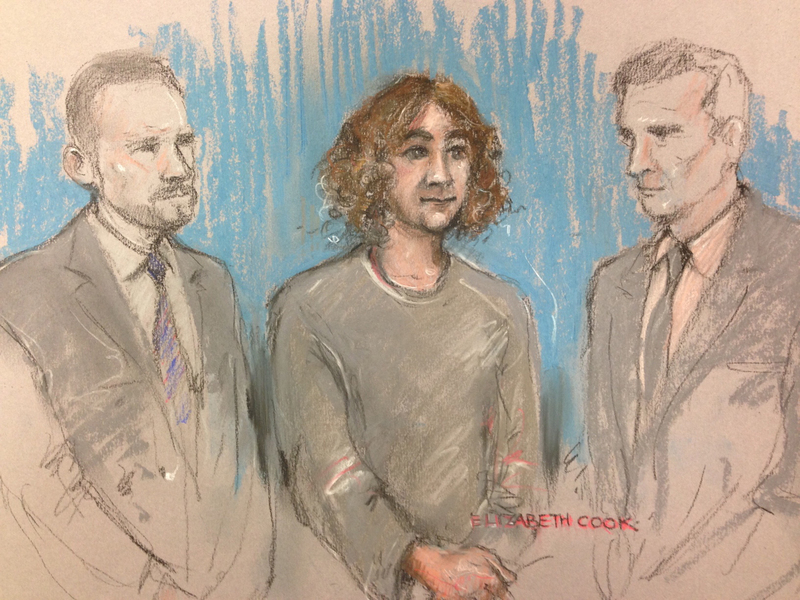 19-year-old Damon Smith is currently being tried after being accused of leaving a bag of explosives and ball-bearing shrapnel on a Jubilee train with a detonator clock timed to go off 13 minutes later. A jury at the Old Bailey was shown the footage of Smith exiting the train on October 20, 2016, leaving the rucksack on board. At 10.49 in the morning, the defendant got off the train at London Bridge and scheduled the bomb to go off at 11.02. There were at least 10 passengers in the carriage at the time, and some of them reported the unattended bag when they got to Canary Wharf. The tube driver mistook the bag as lost property and carried it on towards North Greenwich. Luckily the bomb did not detonate, but if it had, it would have exploded just as passengers were being told to leave the station. Smith, who suffers from autism, reportedly returned to his campus at Holloway and began searching for news stories on the incident. He had a keen interest in Islam, guns, explosives, gambling, and collected photos of extremists. After he was arrested, the student admitted to making the device and claimed he only meant to spew harmless smoke as a prank. The jury heard that Smith had previously printed off Al Qaeda guidelines titled ‘Make A Bomb In The Kitchen Of Your Mom’ and made notes before shredding the paper. Now 20-year-old Smith admitted the lesser offence of perpetrating a bomb hoax but denies possession of an explosive substance with intent.